Since returning to Rockland after earning a degree in Political Science at Clark University, Peter Lang has become a highly respected member of the Rockland community. With an interest in addressing issues related to children, poverty and health, he has served on the Board of Directors of many organizations such as People to People, the Jewish Federation, the Children’s Museum, Congregation Sons of Israel in Nyack, the Rockland Development Council, and Nyack Hospital, to name a few. “I’ve been involved in some sort of community service since childhood; it was ingrained in us at early age. And, of course, that waned in my teen and college years but the concept of helping others was never far behind. When I moved back to Rockland my first direct involvement in the community was at People to People where I learned about the power of caring and giving others an opportunity. My volunteer involvement grew into a Board seat and, a few years later, President of the Board. It was there that I saw how not only money but my time and talent provided help to others. Through a comprehensive day each month, we were shown almost every corner and exposed to nearly every facet of the county. We were given a 360-degree view of the important issues of the day from transportation to health care, education, criminal justice, social services and even Rockland’s history; in short, we were immersed in the inner workings of all things Rockland. Regardless of the organizations I served or the leadership roles I held, that 360-degree view has always reminded me that there is more than one way to view and resolve a problem. Most importantly, it takes all of us, working together to solve our problems and turn them into opportunities. Debi Thomas is a 4th generation Rockland County native who joined Leadership Rockland in 1994. She is a lifelong resident of Stony Point and the proud mother of a son, Jay, who with a JD shares her entrepreneurial spirit, participated in Teen Leadership Rockland and was the recipient of the REDC 40-Under-40 award. A creative and critical thinker, in 1976 she was cofounder of the Rockland Teachers’ Center which has since become a leader in technology training and community-based professional learning for Rocklands’ educators. 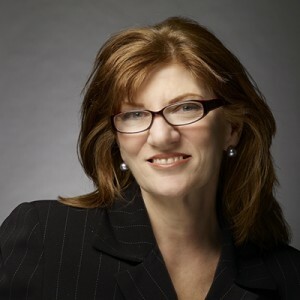 Shortly after earning a Ph.D. from Fordham University in Educational Leadership Administration and Policy, she became Dean of Academic and Global Partnership Programs for the New York International University Center in Tuxedo, NY and was given the opportunity to serve as Chief Learning Officer of Learn America On Line Academy in White Plains, NY. During her professional career, Debi has also been actively involved in almost 50 local organizations. 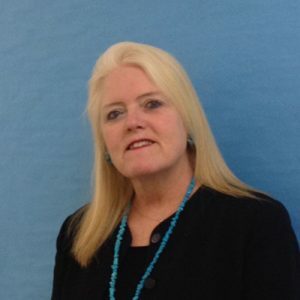 Community activism and philanthropy has led her to leadership roles in organizations that ranged from the Rockland County Youth Bureau to United Way of Rockland, Cornell Cooperative Extension, Rockland Community Foundation, Rockland County YMCA, Historical Society of RC, and Rockland’s Workforce Investment Board. She has also been one of the founding members of Rockland’s 21st Century Collaborative for Children and Youth (21C), and Rockland Institute for Non Profits … in addition to serving state and national organizations such as the NYS Higher Education Committee, Association of Teacher Educators, New York State Association of Teacher Educators, American Federation of Teachers, NYS United Teachers and United Way NY. Having graduated from Leadership Rockland (LR) more than 20 years ago, Ann Byne credits her participation in the program to her continued success as a business owner, leader, and volunteer in Rockland County. She began her career in the county as a part time graphic designer working in the Corporate Communications department at Orange and Rockland Utilities as well as freelancing for other businesses. Through the years, her firm has evolved into a full-service award winning creative marketing agency with clients throughout the tri-state area. The Byne Group focuses on branding and all its touch points including advertising, public relations, social media, and web design. As a member of one of the early classes (1994) of Leadership Rockland, Ann believes it remains one of the most important organizations for mentoring leaders in the community and it keeps improving each year. She continues to teach social media at the LR Arts & Media Day and until recently sat on its board and served as the Chair of the Marketing Committee. Growing up in Long Island her family moved to Brooklyn when she was 15 and she attended Pratt Institute. Soon after starting her own family she moved to Staten Island and in 1983 moved to Suffern, NY. Ann was nominated for LR by Jan Degenshein (Class of 1993). They originally met through The Arts in Public Places Committee of which Jan chaired. “As a young designer in the County, I was looking for a way to get involved with both public and private sector businesses and grow my local network. It turns out, not only did Leadership Rockland introduce me to many new people, who became my friends, but by showing me all it has to offer while teaching me in’s and out’s of living and working in Rockland, I have developed a deep connection and affection for the County”. Ann sees Leadership Rockland as an ideal opportunity for anyone looking to broaden their knowledge of the County and build connections in both the private and public sectors. For her, not only did she make those connections, but also lifelong friendships with people she may not have otherwise met at the time. After graduating from the program, Ann became very active in volunteering her time to a variety of organizations in the County, specifically United Hospice of Rockland; the Leadership Rockland board; and currently the Workforce Investment Board (WIB) and the Rockland Community College Art Department Advisory Committee. Jan Degenshein is an architect and planner, the principal of his own firm in South Nyack, NY. He also resides in South Nyack with his wife, Alison Lee, the owner of Craftcast, Inc., an online high craft learning platform. His three children and step-son are grown and live in Greenville, NY; Santa Fe, NM; Paris, France; and Manhattan. Jan is originally from Brooklyn, NY and moved to Rockland County as a child in 1959. After completing his professional education at Washington University in St. Louis and Pratt Institute in Brooklyn, he moved upstate to Sullivan County, then to Orange County; and finally relocated back to Rockland in 1975. He returned to post-graduate studies in Environmental Psychology at CCNY; simultaneously commenced his practice in architecture and planning that year; and has been a resident of the Nyacks ever since. When founding Leadership Rockland Chair (and some time thereafter, County Executive) C. Scott Vanderhoef encouraged him to investigate the program, Jan applied to, and was accepted for, the program’s graduating class of 1993. The following year, he became president of the Leadership Rockland alumni association and, as such, took a seat on the Board of Directors. Other than a two-year hiatus, he has served on the Board; and more than half of those years as a member of its Executive Board. Jan was honored to have served as Chair of the Board of Directors from 2012 – 2015. His architectural resume includes: The Nyack Hospital Cancer Care Center; the Pearl River Hilton Hotel; St. Francis of Assisi Church in West Nyack; the County Archives and Records Storage Facility in Pomona; the Tappan Zee Marketplace in Nyack; the Martin Luther King Center in Spring Valley; and the County Legislative Chambers in New City. Many projects have garnered awards from his professional colleagues. Among the local organizations Jan has served include: the Rockland Business Association; Volunteer Counseling Services; the Rockland Municipal Planning Federation; Helen Hayes Hospital Foundation; Rockland Center for the Arts; the County Art in Public Places Committee; Clarkstown’s Housing Task Force; Orangetown’s Rockland Psychiatric Center Task Force; Nyack’s Parking Task Force; the County’s “Aging In Place” Task Force; the Computer and Telecommunications Initiative of Rockland; and manifold other organizations and panels too numerous to list. 2014-­15 Leadership Rockland alumni, Kenyatta Jones-Arietta is the broker/owner of R2M Realty, Inc. based in Nyack, NY. She is a mother of 3 and wife of Rudy Arietta, principal of Ardsley High School and fellow recipient of REDC 2011 Forty Under 40 award. Kenyatta is originally from Detroit, Michigan but made her home here in Rockland County in 2000 after living in Manhattan and working as an interior designer at Roche Bobois/Maurice Villency in NYC, where she moved in 1990. O&R has been an ardent supporter of Leadership Rockland since its inception. From a business and investment standpoint, supporting Leadership Rockland simply makes sense. In less than a year, the Leadership Rockland program takes participants on a comprehensive journey through our community. People meet and learn directly from leaders who work in government, business, health, environment, arts and history, education and philanthropy. The program gives graduates a knowledge base that helps them appreciate the strengths and opportunities within the community. More importantly, the inspiration they gain from fellow leaders and classmates gives them the drive to make positive contributions on behalf of themselves, as well as the businesses and organizations they represent. At O&R, we consider that an excellent outcome. Sabrina Vargas-Greco graduated from Leadership Rockland in 2004 and was selected by the class to serve on the Alumni Advisory Board as the Class Representative. She is presently a Member of the Board of Directors for Leadership Rockland and has previously served as Chair of the Marketing Committee as well as a member of the Recruitment Committee. Additionally, she is a Co-Coordinator for Government & Politics/Public Policy Day. Sabrina graduated from St. Thomas Aquinas College in 1993. During her senior year at STAC she was given the opportunity to intern in the office of New York State Assemblyman Alex Gromack who represented the Town of Haverstraw and Clarkstown. After graduation from STAC, the internship experience earned her a position in that Assembly office as a Legislative Assistant, and in 2001 she was promoted to the position of Chief of Staff. In August of 2004, Mr. Gromack was appointed to Supervisor for the Town of Clarkstown and Sabrina was once again given the opportunity to serve under his administration where she continues to serve as Director of Operations/Constituent Services Coordinator for the Town of Clarkstown. She assists the Town Supervisor in all aspects of the government process and among other responsibilities, ensures that constituent matters and concerns are thoroughly investigated and followed-up in a professional and timely manner. Born to Rafael and Lourdes Vargas, immigrants from the Dominican Republic, Sabrina grew up in the Village of Haverstraw with her sisters Mary and Priscilla. A graduate of St. Peter’s School and North Rockland High School, she was always encouraged to pursue her education and give back to the community. She has a long record of community service where she has served on the Boards of Good Samaritan Hospital, Cornell Cooperative Extension of Rockland and the Hispanic Coalition of Rockland, just to name a few. She is currently on the Leadership Rockland Board of Directors, the Rockland Community Foundation, and is a member of the Rockland Economic Development Corporation’s Forty under 40 Selection Committee. Sabrina’s record of community service is a testament to her commitment to the people of Rockland County and her efforts have been recognized by several organizations over the years. She received the Rockland Community College Hispanic & Latino Heritage Month Award (2004), Forty Under 40 (2002), the Rockland County Police Hispanic Society Award (2000) and was inducted into the STAC Alumni Hall of Fame in January 2015. In 2008, she married Leadership Rockland classmate, Michael Greco, who is now the United States Marshal for the Southern District of New York. They reside in Pomona with their four children. Prior to going through Leadership Rockland, Karen was on the Board of Center for Safety and Change – formerly known as Rockland Family Shelter (RFS). After completing the LR program, she took on the role of President of RFS. Later, Karen joined the Board of Directors of Leadership Rockland and is currently Chair of the Program Committee. In addition, Karen is on the Board of the Rockland Community Foundation and serves as Treasurer. About ASM Associates – focusing on helping clients manage their businesses more effectively since 1995. Michael Seidenfrau graduated from the Leadership Rockland program only three years ago. He felt personally moved by presentations about the non-profit sector of Rockland County. Two months after graduation, he suffered severe injuries in an accident while riding his bicycle at Rockland Lake. Read about how his recovery led to new passions, including running races as well as a personal relationship with one of his classmates. This passion has led Michael to lend his name to many non-profits in conjunction with his running, and has led to our own 50/50 fundraiser as he takes on the Philadelphia Marathon. “I graduated Leadership Rockland in 2011 and enjoyed much of what Leadership Rockland had to offer. The single most important takeaway from the program for me was the time dedicated to Rockland Non-Profits, which was a portion of our last regular full day session. We had a class assignment that was due for the class. My class was broken up into several teams; and each team was tasked with making a presentation on one of Rockland’s non-profits. My team, led by Mark Dari, picked United Hospice of Rockland. We met with Amy Stern, the executive director of Hospice, and alumni of Leadership Rockland, on a couple of occasions. We came to learn the great things about Hospice, as well as the challenges faced by the organization. Each team presented during our session at Helen Hayes. What I learned of the struggles these organizations face from each team’s presentation, as well as the coordinators, Diane Serratore of People to People and Gerri Zabusky from RSVP (alumni of Leadership Rockland) has stayed with me. That session was June of 2011, and my class graduated a few weeks later. We stayed in touch and had a reunion the following month. We had so much fun that another reunion was planned for August 13th, 2011, at my house. Unfortunately, it turned out that the attendance for the barbeque at my house was lacking for a variety of reasons, and I cancelled the reunion the Thursday before. On the morning of what was supposed to be our reunion, I took my brand new road bicycle for a ride at Rockland Lake. My plan was to go at a fast pace, so I picked the outer loop instead of the inner loop which is more populated by walkers, runners and kids. In my first lap around the outer loop, as I was approaching the intersection near north entrance to the park, I was involved in a collision with a car. The story in the Journal News started “A 37 year old New City man suffered severe head and facial injuries………” . At the end of the day, I suffered a brain bleed, a massive concussion, the right side of my jaw was shattered amongst many facial fractures, the “chin bone” was split, my elbow was broken, and I had several facial lacerations. When I came out the fog I was in on the Wednesday after the accident, I was told what happened, which I simply could not believe, and that I was lucky to be alive. I had a major surgery on my facial fractures while in the hospital where several plates and 13 screws were put in my face. My elbow underwent surgery about a week after I was released from the hospital, and that was another 4 pins. Over the course of the next few months, I had several minor surgical procedures on my face/jaw while I was rehabbing and recovering. In the early weeks of my recovery, I was told that I may never be the same again physically because of my elbow. I was told to be realistic. At the same time, during my recovery, I had also determined it was time for me to get divorced. From going through these changes, and being told what I couldn’t do, I was highly motivated to get healthy and back to work and the gym. I asked my doctors when I could get back to the gym… if I could go for a run, as I clearly needed a new hobby, the bike riding didn’t go so well. From the perspective of my elbow and facial injuries, I was given clearance, but I was warned by my “medical team” rather comically that I needed to get clearance from the Neurosurgeon. Well, less than 1 month from the accident I defied the doctors and returned to the gym to get some cardio in, and few weeks after, I started lifting light weights, about 5 weeks before being medically cleared (elbow). Once my head was completely clear, which took a couple of months, I was determined to do more for the community as I was truly lucky to be alive. I had a lot going on, between going through a divorce and the recovery. With that, I took up running races, and the Turkey Trot of 2011, 3 months after my accident was my first race, with little training. A friend of mine talked me into doing the Hook Half Marathon, which benefits Hospice, and I loved the half marathon and training for it. It was during this training process and in the middle of my divorce that I reconnected with a fellow graduate, Carissa Coslit. We started dating, and now have been together every since! Shortly after the Hook came the Bill Fortune 5K and 10K, and I registered for the 10K. Soon before the 10K, a light bulb went off. I figured out how to use the race to benefit Meals on Wheels and I achieved one of my goals of doing more for the community. I created a 50/50 raffle to guess my finishing time. While I was a Rotarian who helped Rockland nonprofits through Rotary, and had donated privately to local non-profits, I had wanted to do more. I went on to hold this type of raffle for this race and the Hook Half marathon 4 times, and I also did one in the 2013 Turkey trot for a family in need. What I learned from Leadership Rockland is that we have many great nonprofits in the county that help people in need, but they need help from us in order to provide essential services to those they serve. Leadership Rockland had a life changing impact on me as my life went through some major changes, and I wanted the help the program afford others the same experience I had. As a result, I came up with the idea to set up a 50/50 Fundraiser to benefit Leadership Rockland in its programs and missions in the 25th anniversary year in my first ever Marathon on 11/23: The Philadelphia Marathon! Let’s get the pot to a record $2500 in the 25th year! Dan Weisberg is the newly elected Chair Elect of Leadership Rockland. He has served in law enforcement for over 36 years, the last 27 with the Clarkstown Police Department. He was recently promoted to the position of Administrative Lieutenant. In addition to his many roles within Leadership Rockland, Dan has served the Boy Scouts of America in numerous roles, and has served on various boards as well as coached and managed numerous youth sports teams. Since 1996, Alden Wolfe is an attorney in private practice focusing on Probate and Estate Administration, Estate Planning and Guardianship, although he also handles real estate and business matters. He was appointed to the Rockland County Legislature in 2006, elected to serve from 2008-present, and was elected to serve as Chairman this year. Maria Luisa Whittingham is a Nyack entrepreneur (owner of both Maria Luisa Boutique and ML by Maria Luisa) and community leader. In March 2008, Maria was honored as A Woman of Vision and Leadership by The Nyack Center. She is a 2012 recipient of the annual RBWN Woman of the Year award by the Rockland Business Women’s Network, and most recently honored by Nyack College as the recipient of a 2014 Social Justice Award. She currently serves on the board of Rockland Country Day School. 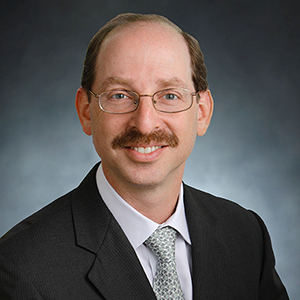 Andrew Yarmus is president of Yarmus Engineering, P.C., a full service civial and environmental engineering firm. Andrew was the recipient of two NYS Society of Professional Engineers Presidential Citations (2009 and 2012) and a Meritorious Service Award (2011), as well as a Lower Hudson Valley Branch of the American Society of Civil Engineers Meritorious Service Award (2007). He was a 2009 Rockland County “40 Under 40” recipient. Interested in nominating someone or learning more about the “I am Leadership Rockland” campaign? Contact us.